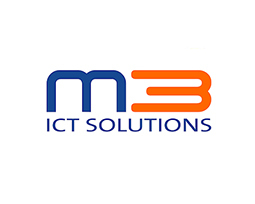 M3 ICT Solutions is a valuable business partner offering wireless network solutions to the Dutch market. Case Provision of wireless access for business customers of M3 ICT Solutions. Objective Offering of branded guest access and other services of the Gatekeeper (marketing) platform to the Dutch market. Result Connecting several business customers of M3 ICT solutions to the Gatekeeper (marketing) platform.